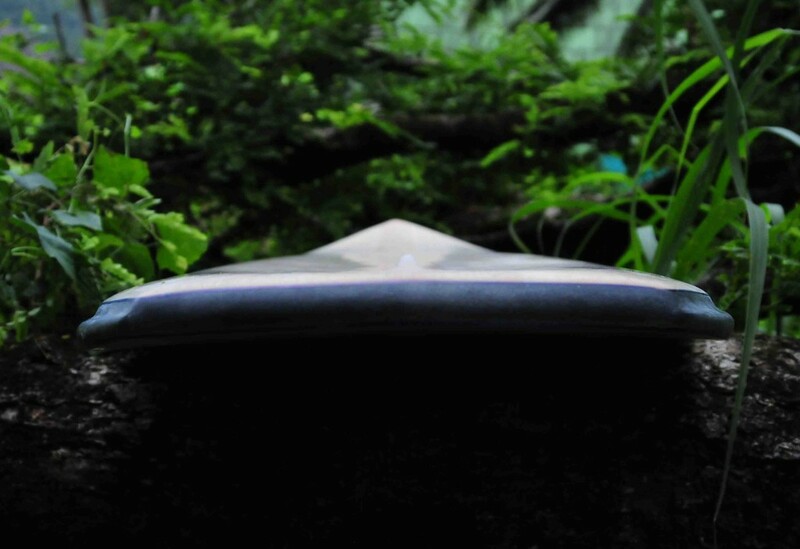 Largely based on an existing model, this diamond tail board get special features on the rails where a step is made in order to keep them thin at the tail. 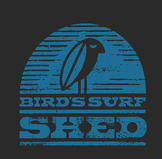 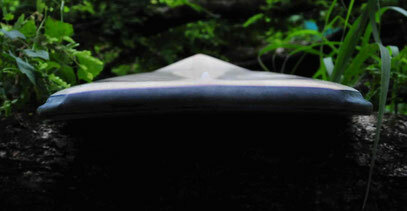 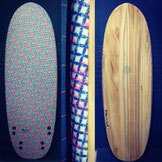 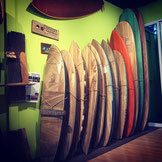 A single concave runs all the way down the bottom where a 3/4/5 fins setting offers a wide range of possibilties. 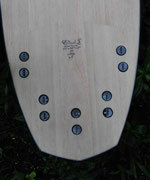 The deck is concave as well. 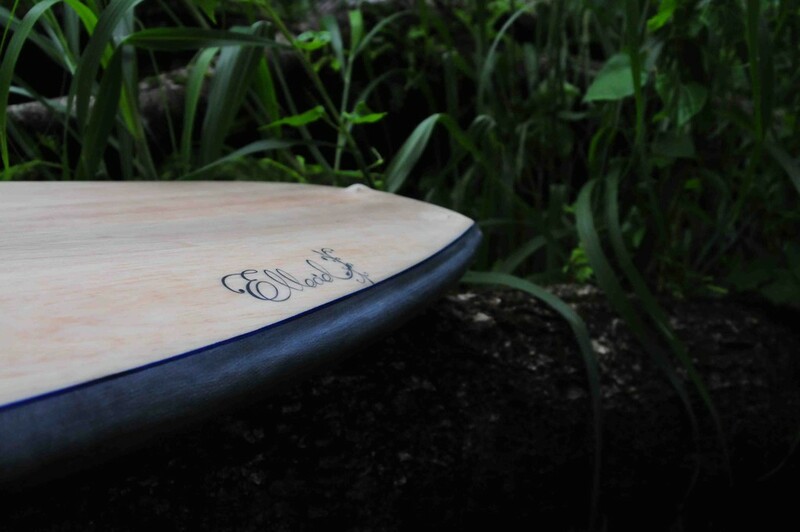 As the latest Elleciel boards, it get a stronger glassing on deck with 200g (6oz) glass under the 2mm balsa skin and another 200g on top for maximum strength.